Radio City Music Hall Photograph by Steven Archdeacon. 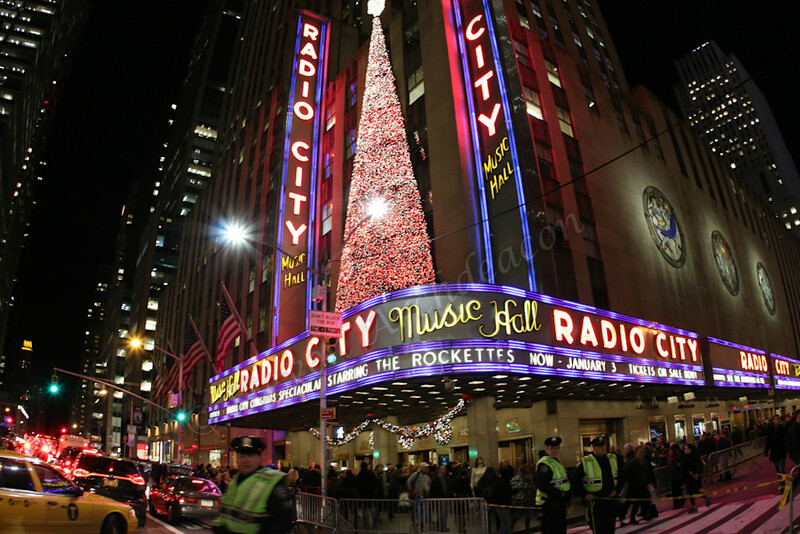 Radio City Music Hall near Christmas time in NYC. This pic was a fun one to take as we were walking back from seeing the Christmas tree in Rockefeller Center and as I was walking (in stride w/ my fisheye lens on the camera) I held the camera up towards RCMH and I just fired this shot.